According to the American Heart Association (AHA), in order to stay in compliance with their guidelines, it is required to renew your certification every two years. if your CPR certification is set to expire within the next six months, it’s time to think about recertification. CPR recertification courses allow you to refresh your memory, renew your skills, as well as stay up to date on the latest techniques. Whether you have your CPR (basic life saving), an Advanced Cardiac Life Support (ACLS), or the Pediatric Advanced Life Support (PALS) certification, it needs to be renewed every two years. ProTip: If you’re required to be CPR certified, you need to keep it renewed continuously. Give yourself a reminder and plan renewal training six months before your certificate expires. According to studies, CPR skill retention declines within a few months of initial training–and continues to decline as time goes by. In addition, it was found that less than half of CPR trained participants can pass a skills test one year after training. This makes it vital to keep your CPR training fresh. If you feel like you are starting to forget to perform CPR, take the renewal course prior to the two-year requirement. There is no denying that people are busy these days, and finding a free day to take the recertification can be a challenge. 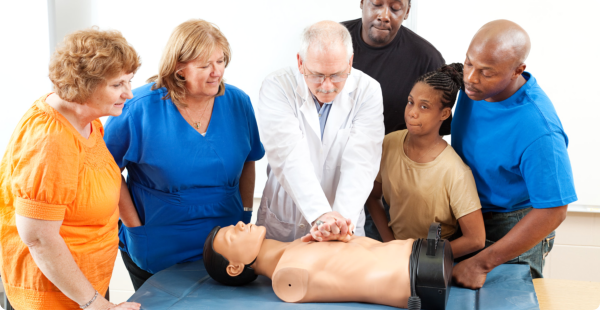 Luckily, there are many CPR training schools that offer online CPR and renewal courses. This allows you to take the lecture portion of the class online and at your convenience, and the hands-on skills portion in person. This is perfect for busy healthcare professionals, or anyone else who finds themselves strapped for time. Approximately 400,000 people die from sudden cardiac arrest each year in the US, and 80% happening at home. erforming early CPR increases the victim’s chance of survival by 40%, making it that much more important to keep your CPR training fresh and your certification up-to-date. Join the conversation if your CPR certification is going to be expiring soon and you’re wanting to learn more about the recertification process.